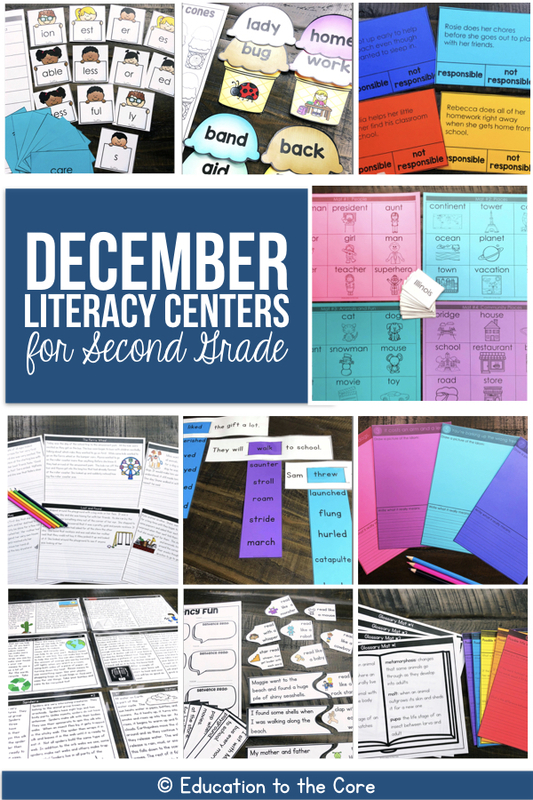 2nd Grade Literacy Centers for December are HERE! Here’s what will be inside once you open the December folder of the Growing Bundle! 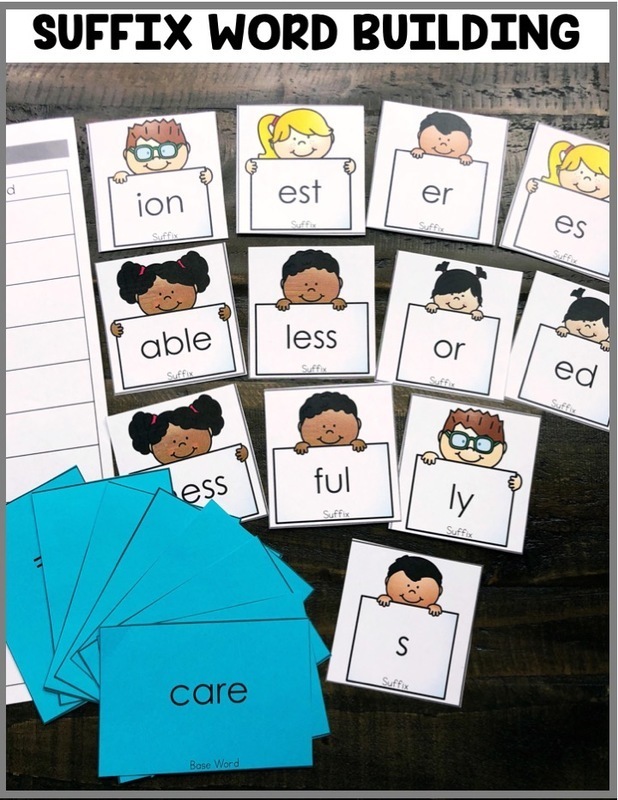 Suffix Word Building:This is great for vocabulary and understanding the meaning of root words along with their suffixes. Students will be making new meaning of words by adding suffixes and recording the meaning. Compound Word Ice Cream Cones: A delicious center for your 2nd grade students! 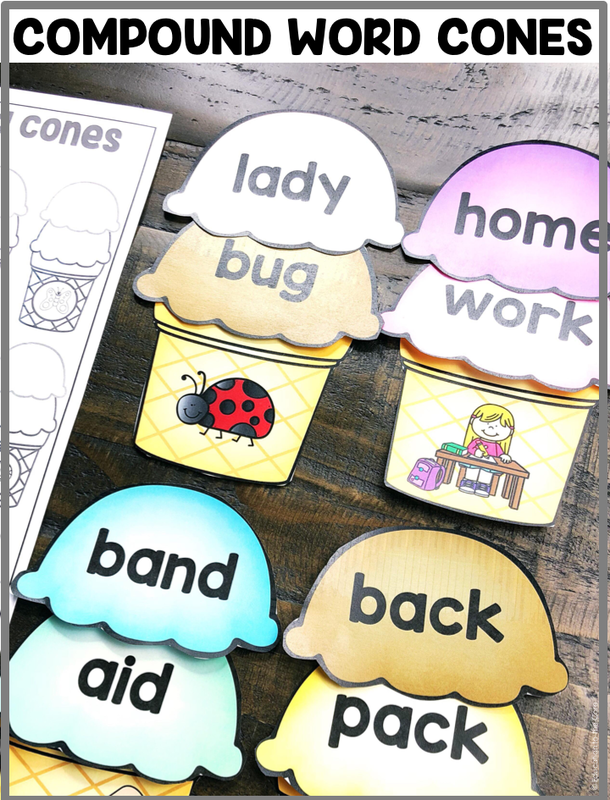 Your students will love making compound words out of the ice cream scoops. When they finish making a word, they can pair the word with the picture on the cone. 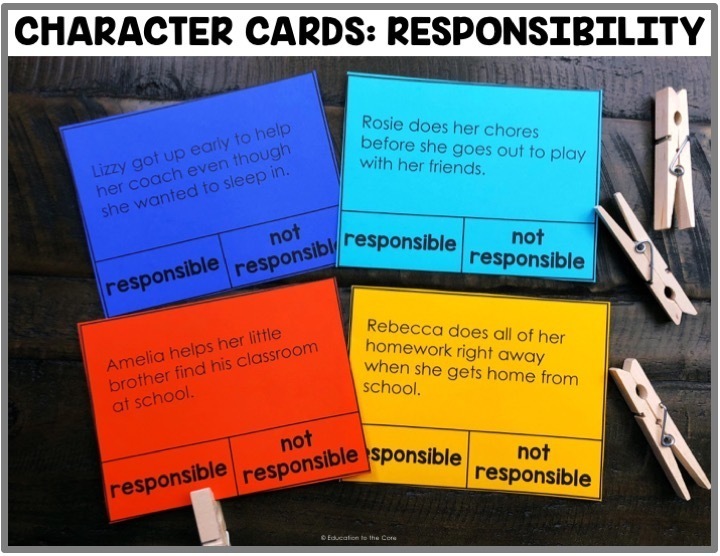 Character Cards: Responsibility: Character awareness is so very important in any grade. 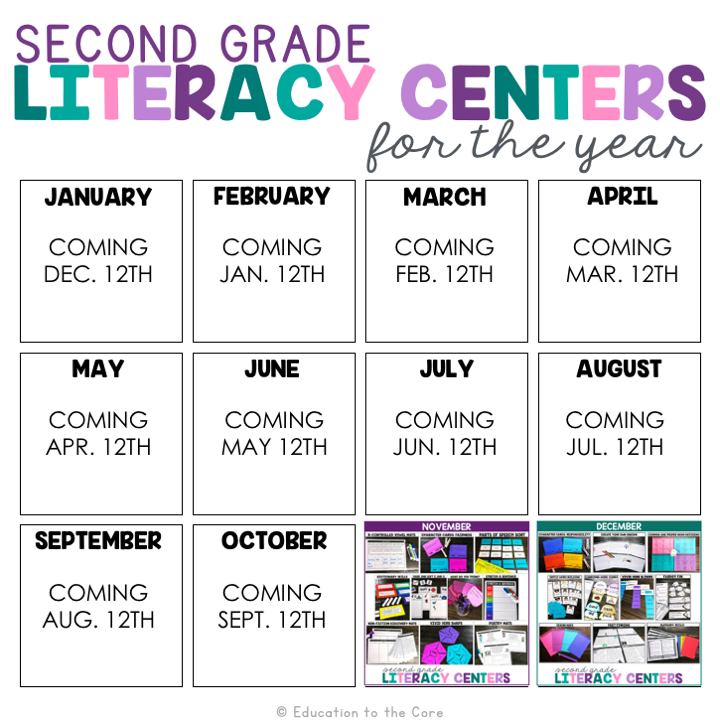 We thought it would be important to integrate literacy and character into each month. This month, the students will be reading the character card and clipping whether or not it is responsible. 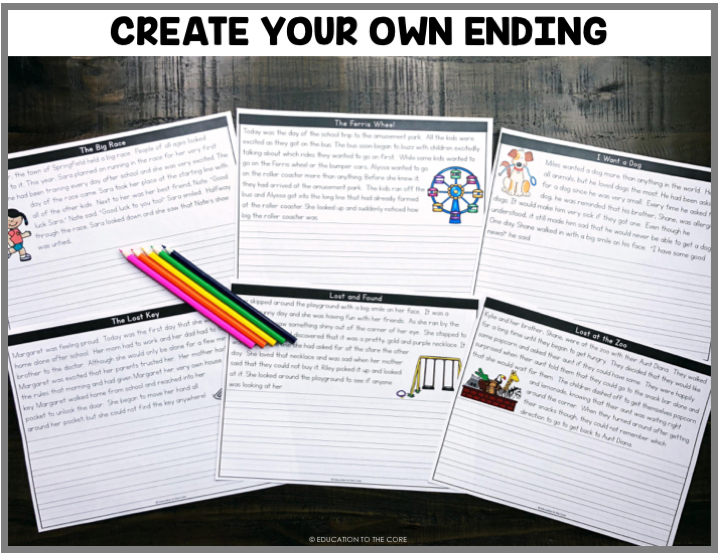 Create Your Own Ending: This center is great for reading fluency, comprehension AND writing! 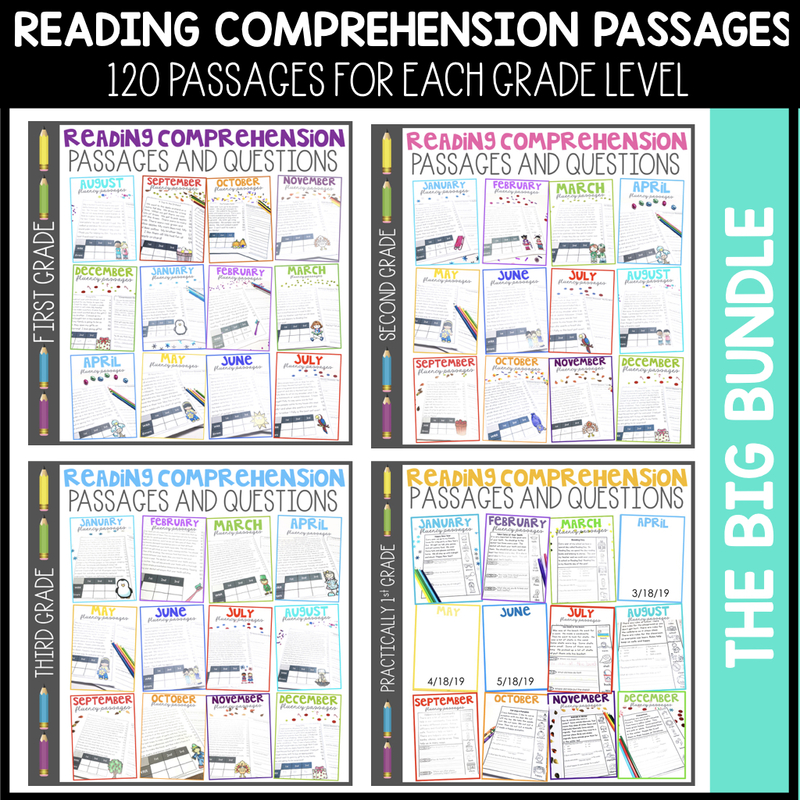 Your students will love putting their own spin on the story ending for each of the passages! Common and Proper Noun Matchup: This center is great because the students always have their favorite brands they see every day! 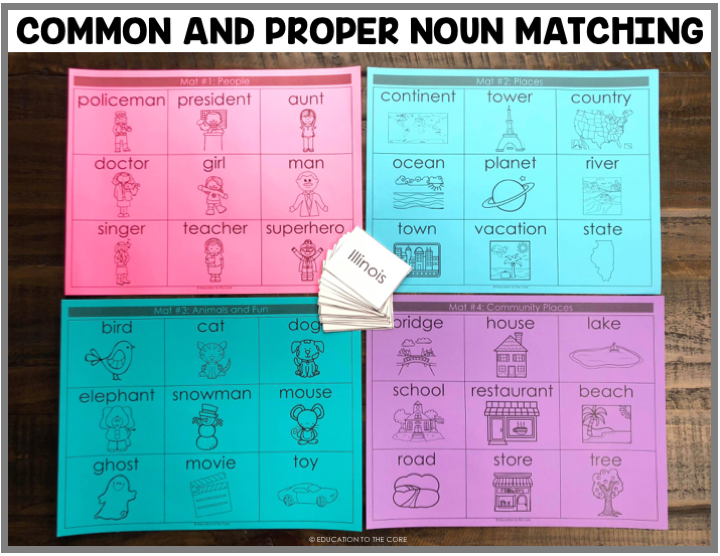 They will be looking at the common nouns on the mat and matching the proper noun words with the common noun picture. 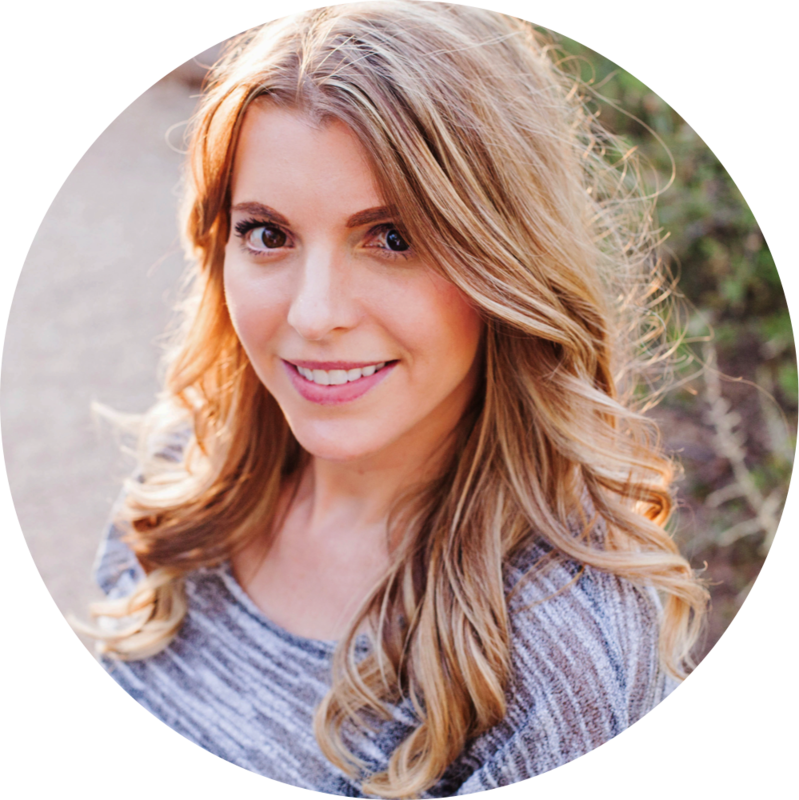 Vivid Verb Sliders: In November, you saw Vivid Verb Puzzles. 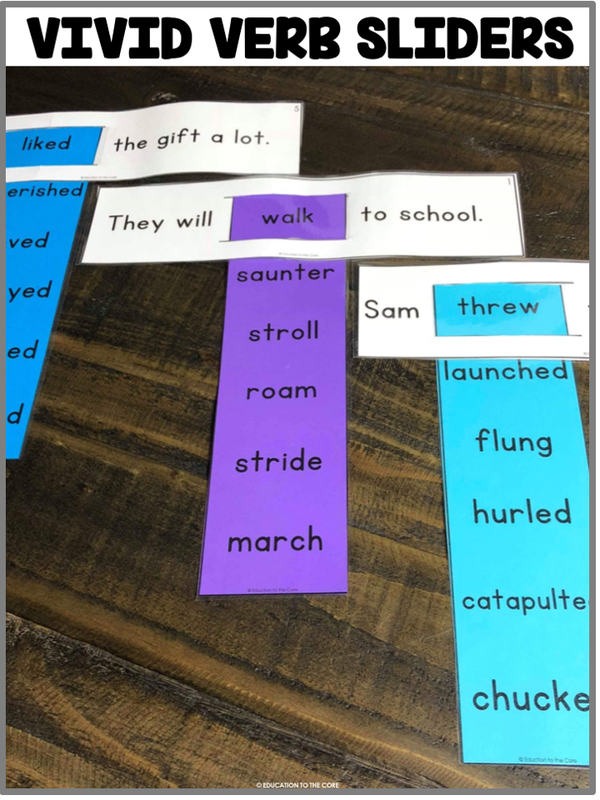 This month, we added sentences so students could read the sentence using different verbs that have similar or the same meaning! Idiom Mats: Sometimes, expressions and figures of speech are not understood by all our learners. That is why we focused on Idioms this month! 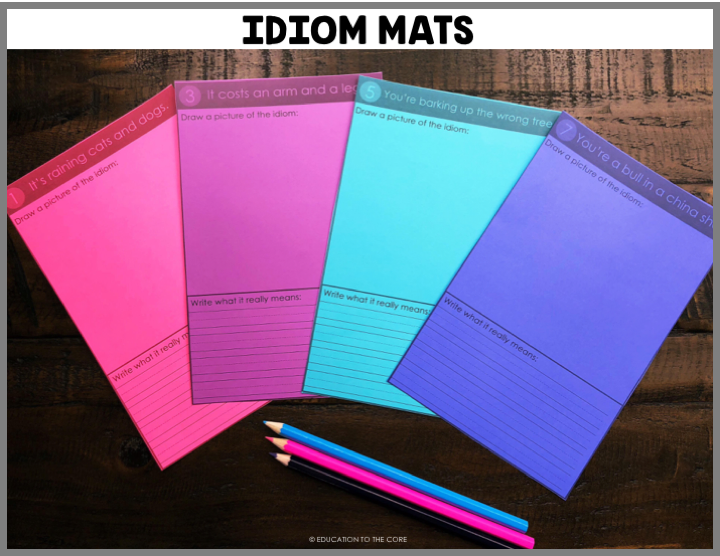 Students will read the idiom and draw the literal meaning on the mat. 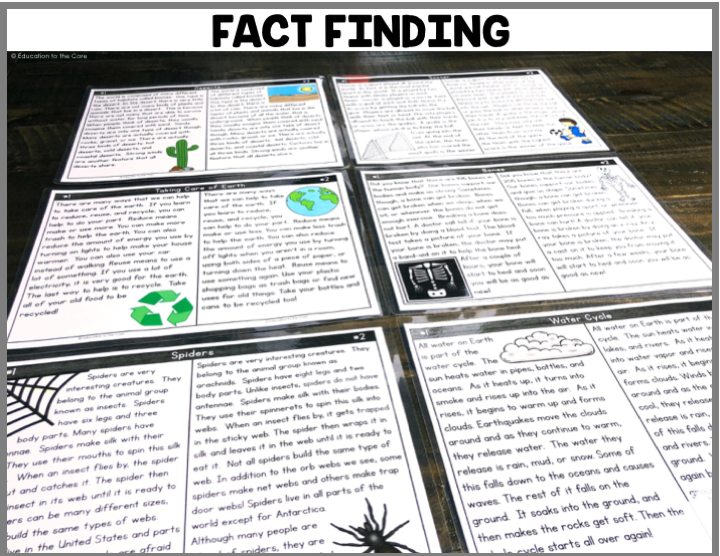 Fact Finding: These expository text passages are great for digging deep and finding all the similarities and differences. 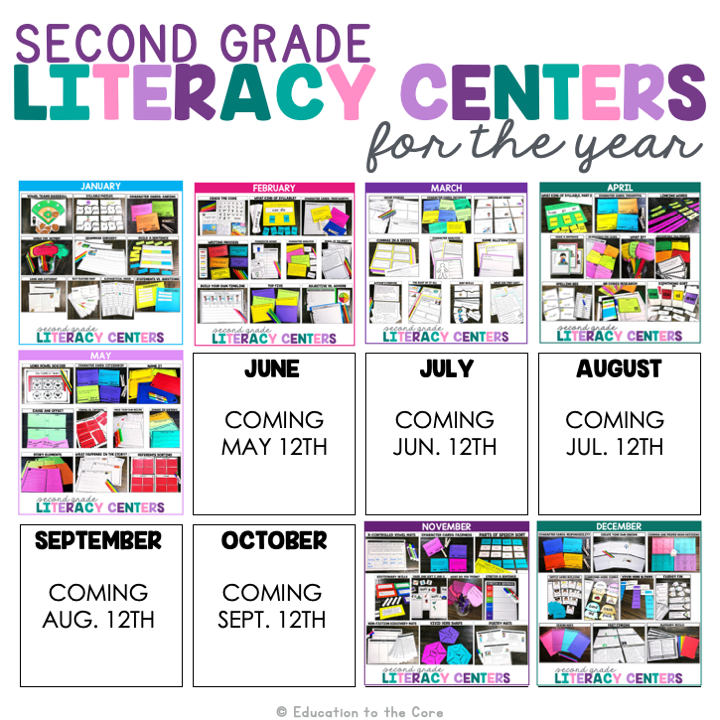 This center is perfect for practicing the skill of close reading and compare and contrast. 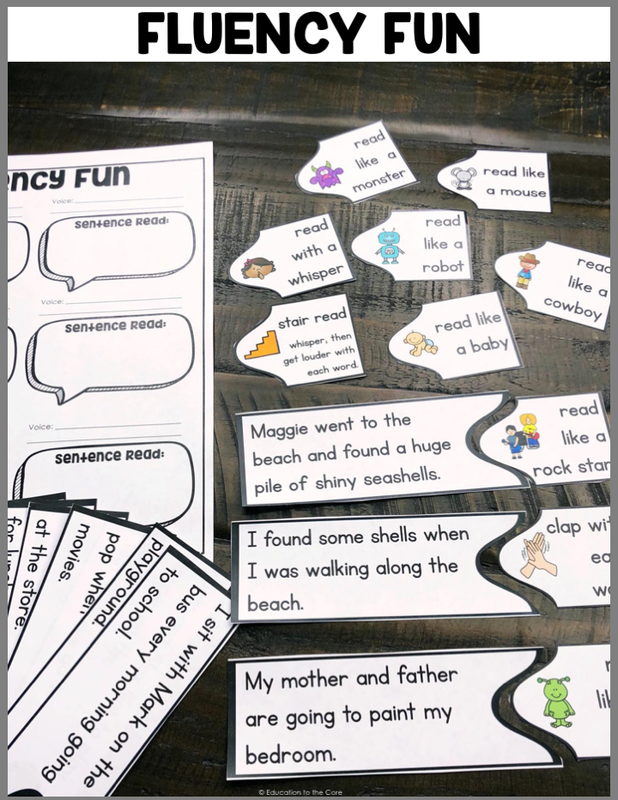 Reading Fluency Fun: Our students really appreciate whenever we can get creative. 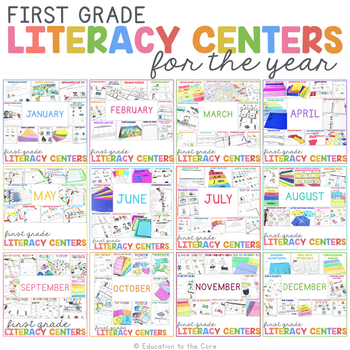 That’s why we created this center. 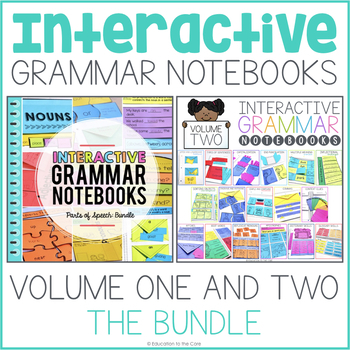 Students can choose a sentence and read the sentence in whatever voice they choose! 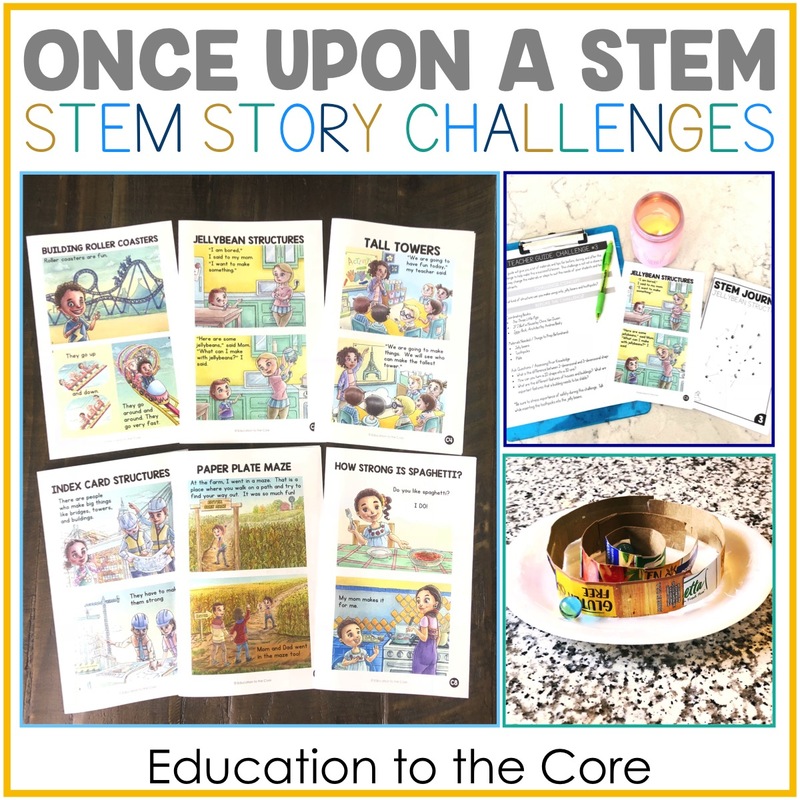 This one will surely be a hit in your classroom! 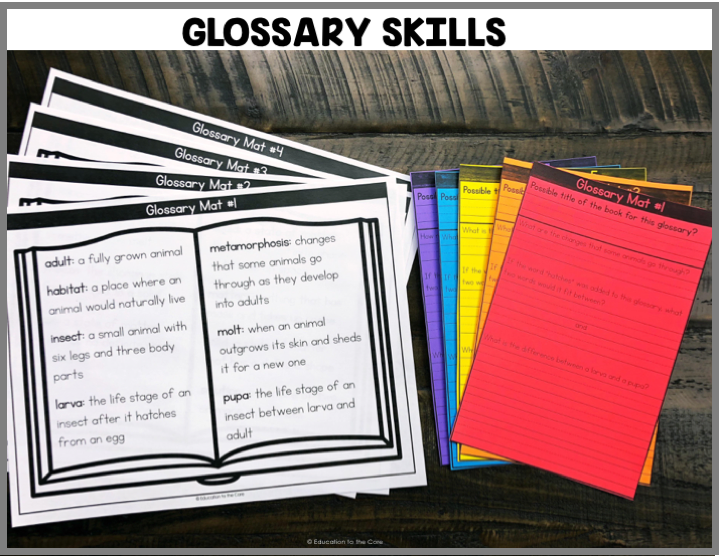 Glossary Skills: Reference skills are so very important if we want to build efficient readers and text detectives. We have included glossary mats with mats that ask questions about each mat.